Have you had a book itch that you couldn't scratch? Maybe you just finished a really fantastic novel and are wanting to repeat the experience but can't find a book with plot elements and characters similar to the story that just pulled you in? Or maybe you have a favorite novel and are looking for other great novels within the same realm? "Book where humans coexist with other races, and the humans are the weakest, but they accomplish remarkable things." "Fiction where characters try to outwit each other through deception and manipulation." "Detective/Mystery novels set in the 19th or early 20th century." "A dark story with hints of magic and hope." "A protagonist who has an unconventional background and their journey is about becoming more 'human', or having a 'soul'." But maybe you have the opposite problem? Maybe you're getting a little bit bored with what you usually read, and want to switch things up a bit, but aren't sure where to start? Comment from discussion Pick three books for your favorite genre that a beginner should read, three for veterans and three for experts.. So there you have it. 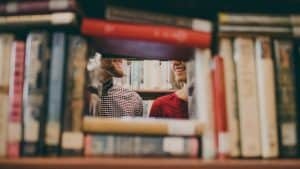 Next time you're in a reading slump, I hope these two resources will help you out. In the meantime, wanna help some of our readers find books they'll love reading? In the comments below, tell us what your favorite genre is along with three books for beginners, three veterans, and three for experts.